The G-Wagen commenced production in Graz Austria in 1979, however it was not until 1982 that the “G” officially arrived in Australia. 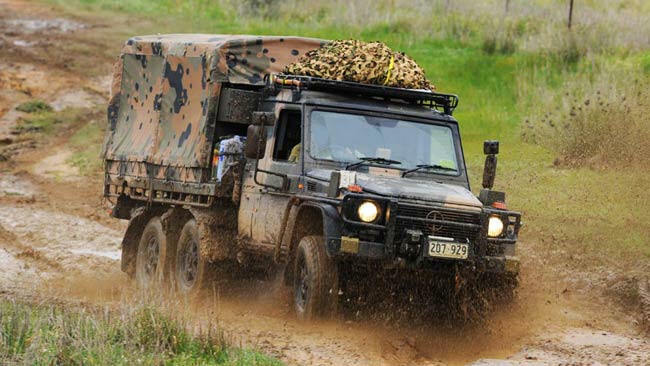 There is no doubt that participation in the then upcoming Australian Military tender (Project Perentie) was part of the thinking in bringing the civilian (460 series) G to the Australian market but at that time Australia was also a country with a growing recreational 4 wheel drive market which was being dominated by the Toyota Land Cruiser and the Range Rover. At that time the G-Wagen was available in 4 motor variants (2 diesel and 2 petrol) being the 240GD, 300GD, 230GE, and 280GE and either manual or automatic transmission. Body types available of two wheelbases included both hard and soft-tops in station wagon or utility type configurations. A few prototypes were initially brought into the country for assessment and the powers that be ultimately determined the final specification for the Australian production vehicles. Mercedes-Benz Australia placed an initial order of 100 vehicles and all were 300GD long wheelbase (LWB) Hardtops with Automatic Transmissions. 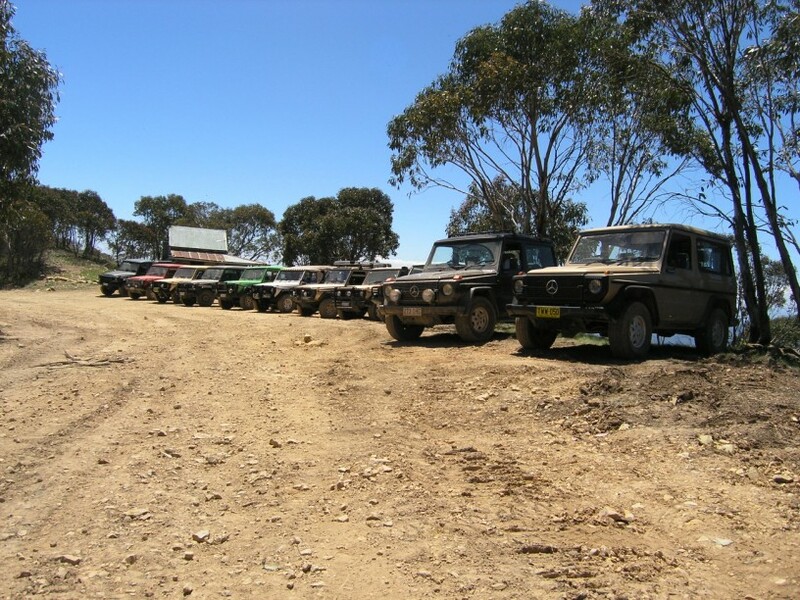 The G-Wagen was un-veiled to the Australian press in November 1982 via an elaborate function starting at Bonnie Doon in Victoria and involved Helicopter flights to Mt Terrible in the Victorian High country to drive the vehicles. Catering was lavish and this was reflected in the price of this new Mercedes-Benz release, which was priced significantly higher than the market leading prestige 4 wheel drive at the time being the Range Rover. 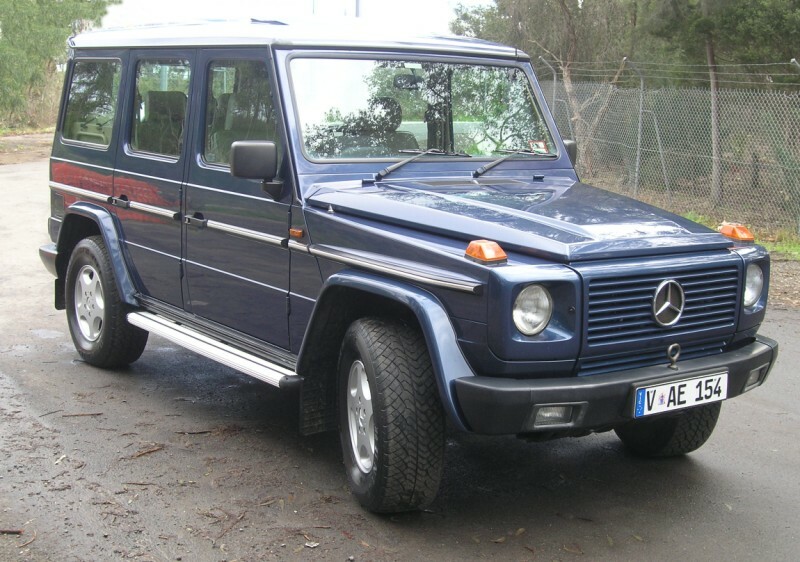 In reality the G-Wagen was far removed from the Range Rover in terms of on-road performance and luxury and I think that while there was an initial flurry to buy it by those who could afford it, the dealer network did not really get behind the vehicle and the initial order of 100 vehicles sold poorly throughout 1983 to 1985. In 1985 Mercedes-Benz Australia tried to turn sales around with the introduction of the 230GE in both short and long wheelbase, with a choice of manual or automatic transmission. Also the 300GD became available in short wheelbase form for the first time. 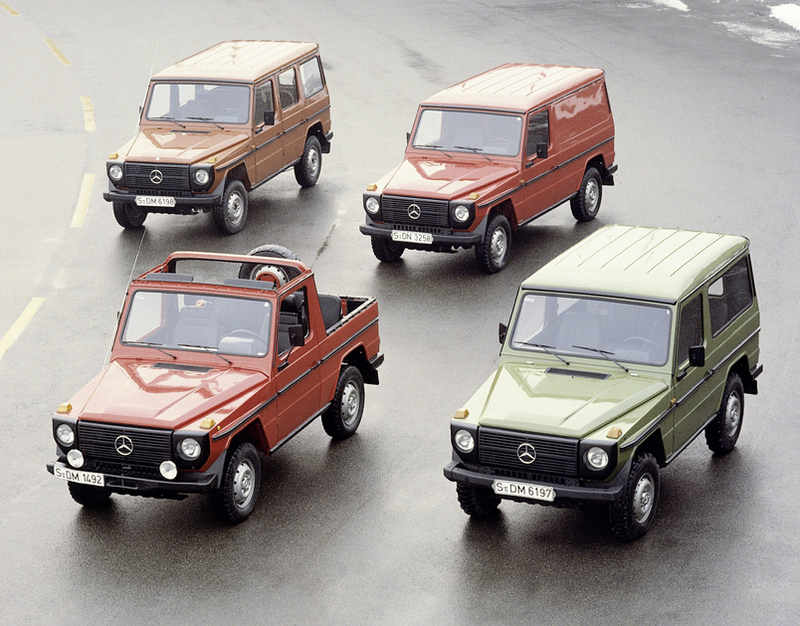 The upshot of all this effort was that the 1980’s was a sales failure for the G-Wagen in Australia. Mercedes-Benz Australia was unsuccessful with the Project Perentie tender for the G (which ultimately went to the 110 Land Rover) and the civilian G in both 230GE and 300GD form sold only 156 units in total (1983 to 1988). In 1990 Mercedes-Benz introduced the new 463 series of civilian G-Wagens. These improved on many of the luxury deficits of the 460 series and also introduced a permanent all wheel drive drive train and improved performance from a new range of diesel and petrol motors. Mercedes-Benz Australia were keen to try again with this new model however the 463 had a side exit exhaust which, at the time, ran foul of the Australian Design Rules and despite many attempts to get a re-engineered solution, the importation of the 463 did not happen. Fast-forward to the 21st century and those original 156 Australian delivered vehicles are still sought after and large number of them are still in existence and going strong. In 2010 Daimler Australia's bid was named as the successful tender for the Project Overlander, light vehicle, military tender. The ADF have now ordered more than 2000 G-Wagens that are being delivered over the next couple of years. Also in 2010/2011 the 463 G-Wagen was finally introduced to the Australian Market and despite relatively high pricing, the G350 (Bluetec diesel) and the G55 (Petrol) have sold very well. In less than one year Mercedes-Benz Australia Pacific have sold more 463 G-Wagens than were sold in the whole of the 1980’s. The G is back in Australia and going strong. 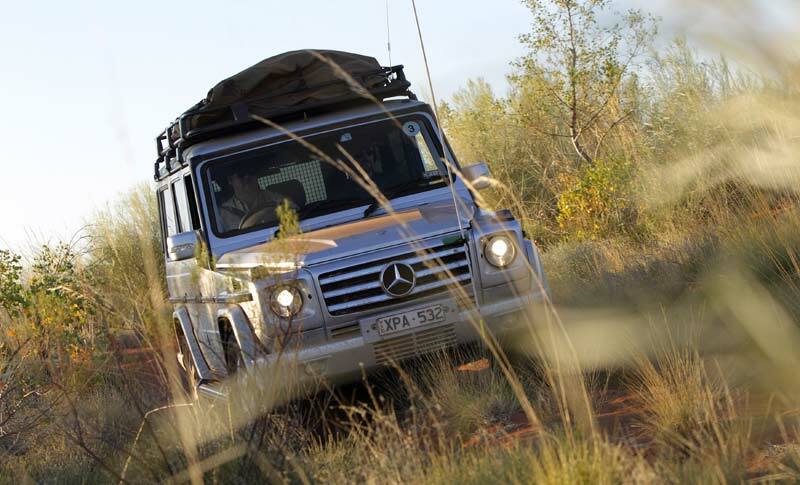 There is no doubting that the G-Wagen's history in Australia is still be written. Our banner photo is of James & Lavinia McEwan's 280 GE - Photo by Lavinia McEwan. Send mail to agoa.gwagen@gmail.com with questions or comments about this web site.